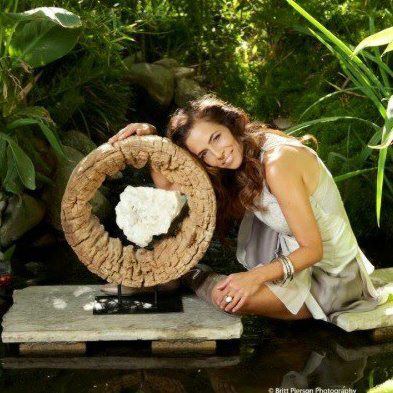 Dorit Schwartz Sculptures at L’Vegue Magazine Art’s & Culture Section! 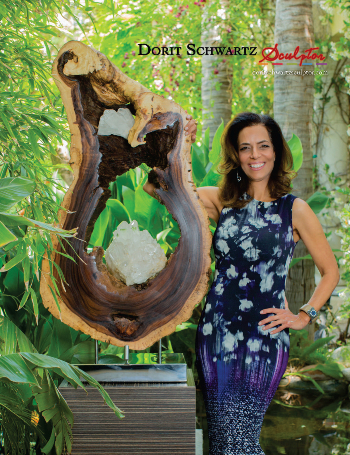 First Edition Now Available Online! This month I have had the blessing of being featured as the cover artist on the Art & Culture section of L’Vege Magazine. 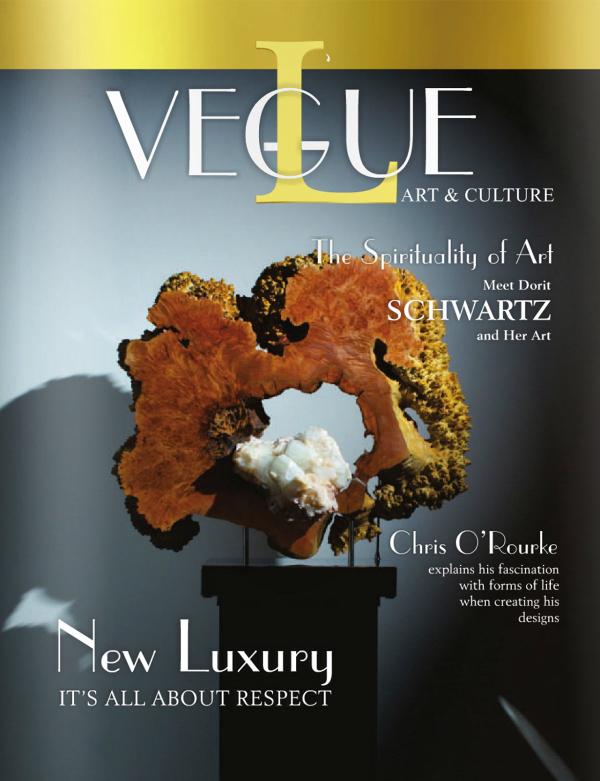 L’Vegue is Las Vegas’ First Art, Fashion and Culture Magazine, produced by Tony Ferreira. The editors have launched the first Limited Edition issue online. So you can be the first to view the interview with Elaine Newton in the Society Section. 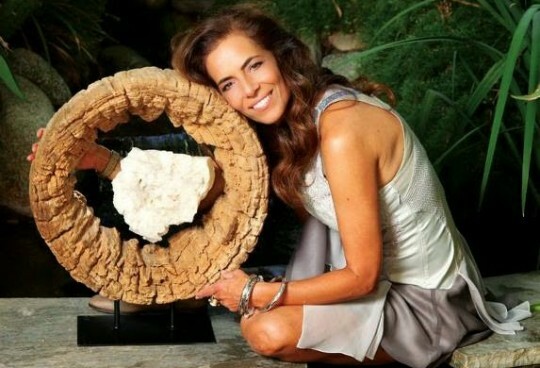 Read the exciting interview with actress Courtney Mazza Lopez, wife of actor and tv host Mario Lopez. 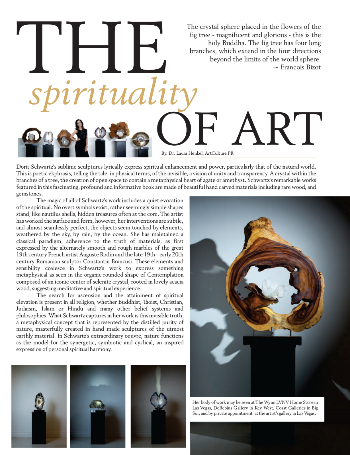 And take a look at the beautiful article written by Dr. Laura Henkel on the Spirituality of Art – featuring my sculptures from The Light Within Collection, 2015. 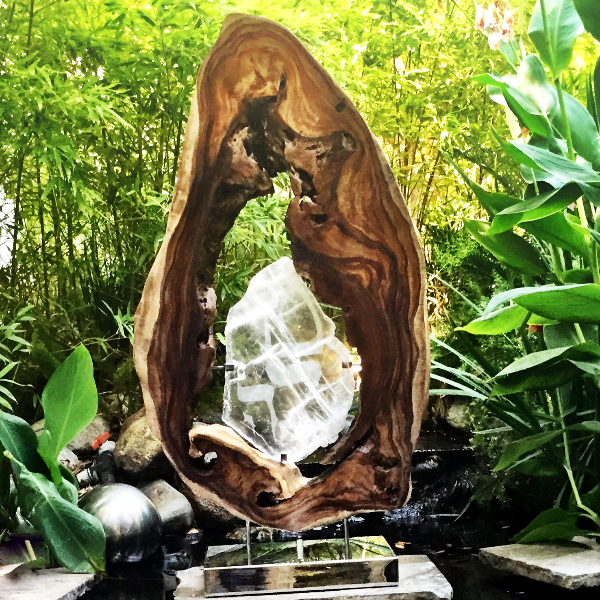 Introducing: Sharing The Flame • The Light Within & Light of Kabbalah Collection. Inspired by the biblical story of “the flaming bush”, Sharing the Flame speaks of The Spark of Life and it brings with it its many blessings. Meditation: I take this Name with me out into the real world so I can share the Light with friends, family, and the entire family of humankind. I envisage openings and opportunities in the world for the global dissemination of this ancient wisdom. I ask for the strength to walk the talk. I know that this Name arouses the forces of immortality and joy in the world. I must expect and demand nothing less. I am so pleased to share with you the good news of this month! Tune in for the August installment where I shall share the excellent things still in development. I have some great news regarding a Fall show at the WYNN. And another at the William Carr Gallery in Tivoli Village! or click on one of the icons below! 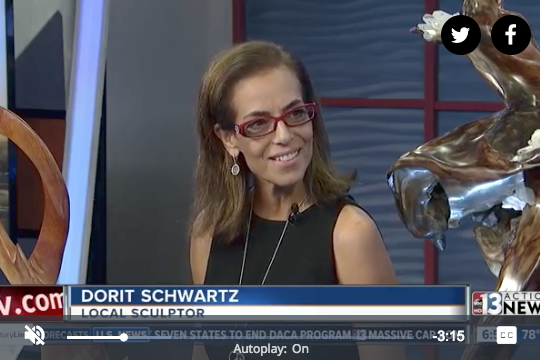 Copyright © 2015 Dorit Schwartz Sculptor Gallery, All rights reserved.